These very powerful MFPs with speeds of up to 60 ppm are designed to handle even the largest print runs. They can be complemented with additional paper cassettes holding up to 2,600 pages in total and can easily be integrated into your existing business workflows thanks to the open solution platform HyPAS™. The long-life components guarantee the reliability and productivity you expect from a genuine KYOCERA device; you will certainly also appreciate their low printing costs and low environmental impact. 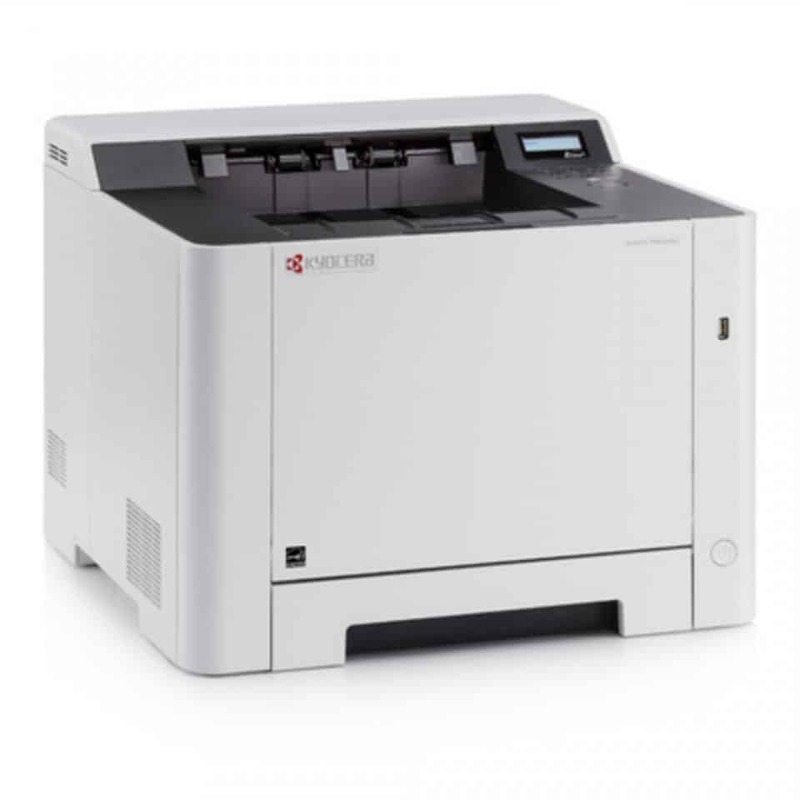 Designed with multiple functions in one nifty machine, the Kyocera M3560IDN Mono A4 Laser Multifunction Printer lets you print, copy, scan, and fax. What makes it different is the number of additional features that make it better, faster, and more efficient. Suffice to say that it has everything you need from a printer. Not only does it print up to 60 pages per minute in A4, but also supports double-sided print, copy, colour scan, and fax. Just think about the amount of time you can save when both sides of a page are printed, copied, scanned, and faxed simultaneously. This leaves little doubt that the Kyocera M3560IDN Mono A4 Laser Multifunction Printer can help boost efficiency and productivity. Built to handle and overcome even the largest print runs, the printer offers some impressive paper-handling capacity. A maximum of 4 units of paper feeders for different sizes of sheets – A4, A5, B5, Letter, Legal, and Custom, and a 250-sheet output tray that arranges printouts face up. With additional paper cassettes, you can load up to 2260 pages in total, eliminating the need to refill the paper tray frequently. A large print run? No problem. No business environment would want to spend unnecessarily on office supplies and overheads. After all, cutting down the number of resources used is the easiest way to save on expenses. Kyocera aims to help you achieve just this. Powered by HyPAS™ (Hybrid Platform for Advanced Solutions), this printer enables you to route paper documents cost-effectively so you can easily control cost by creating an efficient digital workflow. Combined with a consumable that boasts of an average continuous toner yield of 25,000 A4 pages using microfine toner, and 10,000 A4 pages using starter toner, you’re definitely getting more from the Kyocera M3560IDN Mono A4 Laser Multifunction Printer without spending more.